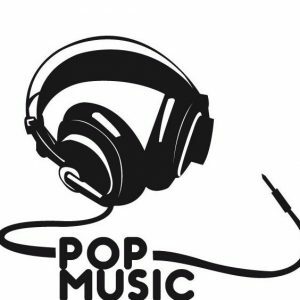 What is pop music? How did it develop? What is the history behind it? Pop music is a style of music with rhythm that you can dance to. Many pop songs are fast paced with a good beat. The lyrics in pop songs are usually about love or having fun. Pop music first became popular around the 1950s. It sounded a little bit like rock and roll, but slightly different. Pop music sounded different then than it does now because it has changed over time. The Beetles have influenced many musicians over the years. Their musical style was and still is very popular. Towards the end of the 20th century, there were several famous and well known pop artists such as Madonna, Michael Jackson, Janet Jackson, MC Hammer, Destiny’s Child, and Britney Spears to name a few. Britney Spears gained much success in the 1990s and was an extremely popular singer. She quickly became the “queen of pop” for her popularity. Boy bands were common too such as N’SYNC and The Backstreet Boys. Ask any woman who was a girl in the 90s if she had an infatuation with either of these bands. I am sure she did. A few other famous pop music groups during that time were Hanson, 98 Degrees, and The Spice Girls. Many pop singers write their own songs. This isn’t always the case though. Sometimes a composer will write the songs for the singer instead. Music videos are also created and pop stars typically produce an album of the songs they sing. This way they can gain even more popularity and earn more money. There are concert performances too. The pop star will sing and dance while back up dancers will do a choreographed dance behind or to the sides of the pop star. The early 2000s brought new pop singers into the spotlight. Kelly Clarkson, The Black Eyed Peas, Usher, Christina Aguilera, Hilary Duff and Jessica Simpson are a few of them. Kelly Clarkson was the winner of the first season of American Idol. While other pop singers came out of that show, Carrie Underwood is probably the most successful of them all. She is a country pop artist and has been very successful. There are a few variations of pop music along with country pop. There is Christian pop as well. It has the rhythm and style of pop music, but with Christian song lyrics. Today, pop music is still very present in our culture. Singers like Beyonce, Miley Cyrus, Taylor Swift and Justin Bieber are the a few of many in the spotlight now. It seems that more and more new artists rise to fame all the time. Although criticized over the years, pop music has remained popular, especially with the younger generation. It appeals to most people and has lyrics that are very relatable. I don’t think the pop music fad will fizzle out any time soon.